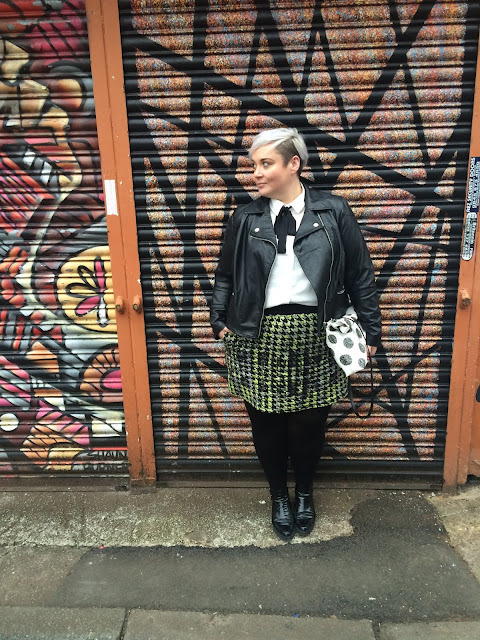 This weekend I hit Manchester with my favourite gal Em from Terrible Tumbles Blog. We had an event on Friday so decided to make a weekend of it. We spent the Friday night in our PJ's with Rosie from A Rose Like This then on Saturday we headed into the city centre for a bit of retail therapy. I was sent this gorgeous blouse from Yours Clothing, I've been after this style for months, so I was so chuffed when I saw it on the Yours website! 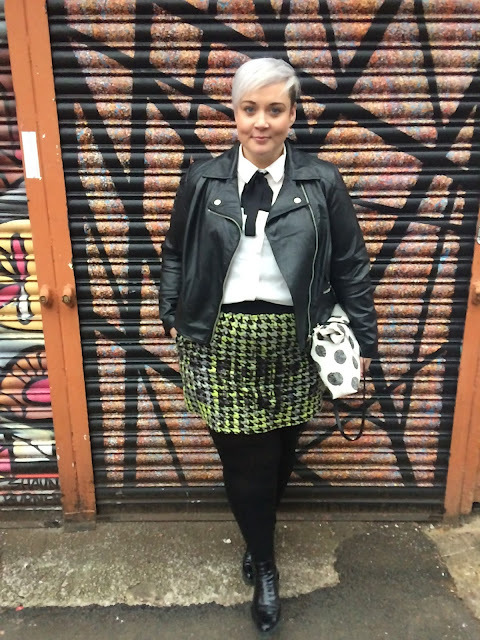 I teamed the neck tie blouse with this houndstooth skirt and leather jacket, both from Simply Be, my beloved Monki bag and majorly worn but loved Clarks boots. I must say I absolutely LOVED this outfit. I felt so good in it, I can feel it being a regular combo in my wardrobe. If you're a bit hippy like me and want to wear it untucked over jeans for example I would say maybe size up. But other than that it is just a fab fab blouse. After a spot of retail therapy, Em and I headed back out for a full on girly night... the details of which I think are best kept secret... Let's just say it was messy!! Haha! I've got some lingerie to share with you this week, a gorgeous retro dress and maybe an outfit of the day if I have time to grab some pics! Speak soon gang! Really loving the necktie - trying to figure out if I'm cool enough to wear this to work ... probably not but it looks fab on you!